Sometime back, we had reported that Dil Raju will be presenting the Telugu version of Super star Vijay’s upcoming film Theri. 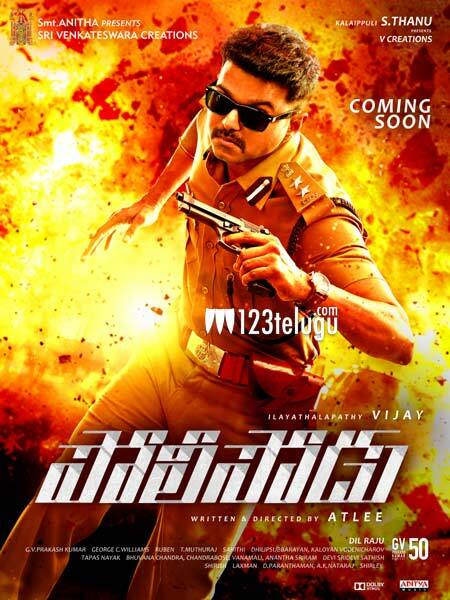 Titled Policeodu, the film’s audio was supposed to be launched on the 6th of April in Hyderabad. Latest update reveals that the event has now been postponed and a fresh date will be announced soon. Directed by Atlee of Raja Rani fame, this film has Samantha and Amy Jackson as the female leads.